ARIVIA S.A. is the leading developer of plant-based dairy and dairy-free products, using coconut oil or palm oil, at an affordable price and in a variety of flavours and formats. 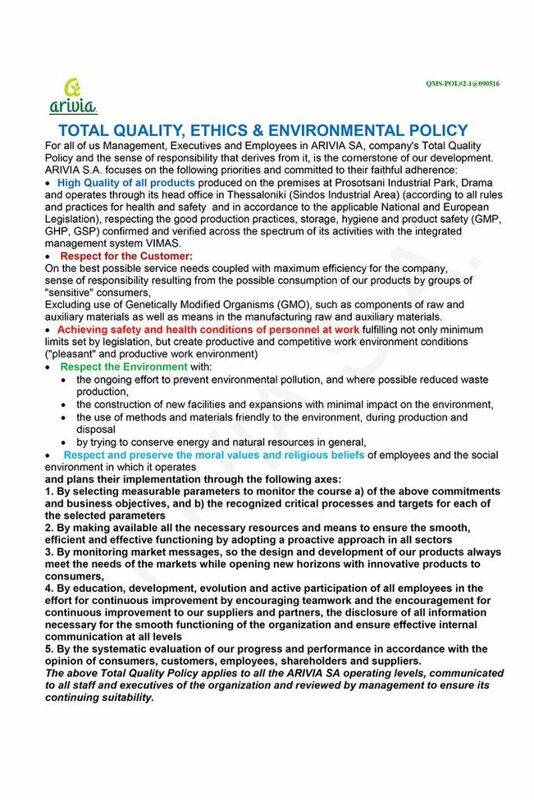 Quality is interwoven in the course of ARIVIA S.A. From the very first day of the company’s operation it was, and strictly continues to be, a clear strategic corporate choice. We use raw and auxiliary materials as well as packaging materials with strict specifications and only from credible and certified suppliers. The same applies to equipment, with the use of state of the art technology. We have multiple controls at all stages: incoming raw & packaging materials, production procedure, semi-finished and finished products. Most important of all, we have well educated personnel that is being trained continuously. A large number of controls are implemented on a daily basis from the initial stage of raw and auxiliary materials, up until the end product is complete. We have thorough controls for raw, auxiliary and packaging materials. With macroscopic controls relevant to cleanliness and suitability of received cargo, microbiological controls relevant to the adherence to health and last specifications and physiochemical controls. We have assured the quality of materials, using well specified and certified raw, auxiliary and packaging materials from large credible and certified foreign suppliers. The company’s Quality Control department controls every load received. There is complete control of the production process and strict objective control of the critical points of production and hygiene. Also, at the company’s laboratory, daily sampling microbiological tests are conducted relevant to the adherence to hygiene and the specifications. In addition to all this, sampling physiochemical tests are conducted for adherence to specifications on each batch produced of intermediate and ready-to-sell products. These microbiological tests are necessary in order to assure consumer health as well as the stable quality of products. At ARIVIA S.A. we have made a chain of microbiological tests without any weak points. 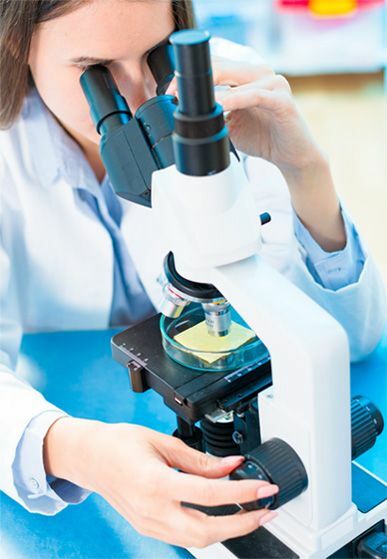 We conduct daily microbiological testing respective to the hygiene of external air, of air coming into the production area as well as of the hygiene of the surfaces that come into contact with foods. We also conduct daily water quality tests respective to the percentage of water chlorination, monthly tests on samples from our water wells on microbiological criteria and annual physiochemical tests. Our products are proven to be listeria free. The company financed a 3 year program that was implemented by the Veterinary School at the Aristotle University of Thessaloniki. We believe that only the correct implementation of Quality Assurance systems can guarantee the required stability in the quality of our end products. 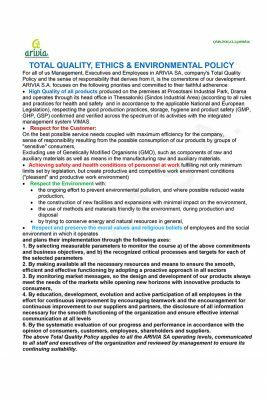 For the Production Department, stability in quality is not a desired future goal, but a daily practice for some time now thanks to the Quality Assurance systems we implement. This is how, that is with stable quality products, we participate in the continuous growth of the company. We keep a complete tracking system, that involves the electronic system SAP, for all our products found in the market, at any moment. We require the same from our raw materials suppliers. This results in our being able to responsibly say that at ARIVIA S.A., we implement a complete tracking system that covers all phases from production to the end consumer. In our efforts to always be in the front line of Quality, internationally, we have selected collaborations that promote our scientific knowledge and our technical know-how in our field of operations. We collaborate with foreign scientific and technical partners such as the Veterinary School at the Aristotle University in Thessaloniki and with accredited testing laboratories in Greece (AGENT, AGROLAB, OLITECN) and abroad (SGS FRESENIUS INSTITUT). ARIVIA S.A. adheres to a quality assurance system according to the standard ISO 9001:2008 and a food safety assurance system according to the standard ISO 22000:2005. It also adheres to the GFSI standards BRC Global Food Standard: Issue 7, with Grade AA and IFS International Food Standard: Issue 6 with grade Higher Level. Our company implemented the first system ISO 9001:2000 prior to 2001 but certified it in the year 2001. The first food safety assurance system as per HACCP 2000 was implemented prior to 2002 but was certified in the year 2004 as per the standard ELOT 1416, and in 2006 as per the standard ISO 22000:2005. ARIVIA S.A. has been certified as per the GFSI standards BRC and IFS since 2004 and 2006 respectively.